South Korea did not import Iranian oil for the fourth consecutive month in December, after the reimposition of US sanctions. In fact, South Korea cut its 2018 imports from the major supplier by 60%. South Korea has won a waiver from the US, enabling the country to buy a limited amount of oil from Iran. However, it has been working to surpass payment and insurance problems. 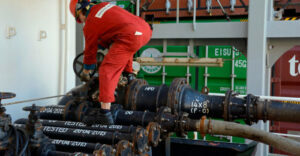 Namely, South Korean buyers can buy up to 200,000 barrels per day of Iranian oil, Reuters reported. For 2018, South Korean imports of Iranian oil decreased to 7.15 million tonnes, while in 2017, South Korea bought 18.07 million tonnes. This made Iran its number three crude supplier. Overall, South Korea imported 12.38 million tonnes of crude oil in December, a reduction of 6.6% from 13.25 million tonnes from 2017. Moreover, in 2018, it imported 148.60 million tonnes of crude, down 0.1% from 148.68 million tonnes in 2017. Currently, Saudi Arabia is the top oil supplier, as it delivered 43.60 million tonnes of crude in 2018, an increase of 1.3% from 43.06 million tonnes during 2017. As Iranian oil lacks, oil shipments from the US have risen more than four times, reaching 7.87 million tonnes in 2018, achieving an all-time high, Reuters added.